With the assistance of VA grants for disabled veterans, if approved, EZ Baths will help you get a free walk-in shower. Limited to Louisiana & Mississippi. At EZ Baths, we value the sacrifice veterans have made for our country. To show our appreciation for their dedication, we are offering free*** walk-in shower to disabled veterans. 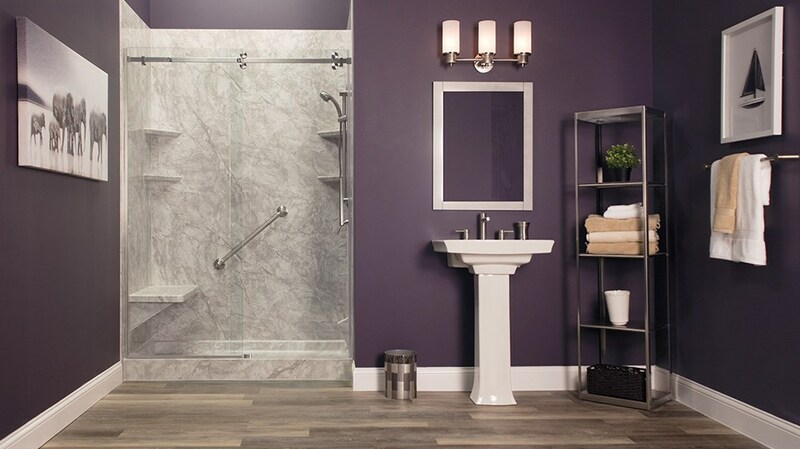 With a leak-proof door to make entering your bath easy and roll-in shower capabilites, claiming this offer is the no-brainer way to update your bathroom for more accessibility. Traditional high-sided tubs can be difficult to manage safely. EZ Baths' handicap showers offer a number of features to ensure a more comfortable and soothing bathing experience. Veteran Affairs must approve your application in order to redeem this offer, but we make it easy by doing all of the paperwork and walking you through the process. Disabled veterans from any branch of service may apply for one of our walk-in showers. EZ Baths is more than just a bathroom remodeling company. We can also fit your bathroom with other accessible options like an ADA compliant shower or a barrier-free shower in your home. Our goal is to make sure we are updating your bathroom according to your needs. Don't hesitate to reach out to us with any questions on redeeming this special offer! If you're a veteran in Louisiana, walk-in showers for your bathroom are just a phone call away. Offer only valid in the states of Louisiana and Mississippi. Must have application approved by the Veteran Affairs to redeem this offer.